Everything you need to know before offering your employees flexible work. Telecommuting was once shrugged off as another trend for choosy millennials. Now, it’s an accepted approach to how we work (and live) and an opportunity for hiring managers to cast a global net. The World Economic Forum calls it "one of the biggest drivers of transformation" in the workforce. 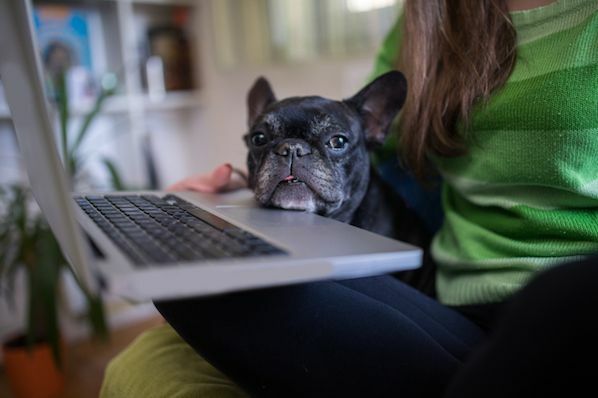 But some employers still aren’t sure whether to take the plunge, worried that allowing employees to work from home means they'll never work. As it happens, the opposite is true. Telecommuting means working remotely, from home or another location outside the office. Not to be confused with self-employed freelancing, this is a working arrangement between a company and an employee. The idea is that the employee “travels” via telecommunication channels like phone, email and video conferencing when they don't need to travel to the office. 80% to 90% of people say they'd like to telework at least part of the week. And that's only the beginning. A study by the International Foundation of Employee Benefit Plans found 74% of employers now offer the option to telecommute. Gallup found that employees feel most engaged at work when off-site three or four days a week. And participants of a UK-based survey think traditional commuting will be unheard of by 2036. Wondering why you haven't caught on yet? Don't worry. Before you hit stakeholders with the numbers, consider whether telecommuting really is the best move. Impressive though it sounds, telecommuting isn't a catch-all solution. Activities that require face-to-face contact, equipment handling, or some sort of physical presence don't lend themselves well to remote environments. Telecommuting companies of all sizes report multimillion-dollar cost savings from blanket telework programs. Of course, some roles translate to virtual environments better than others. Most companies evaluate eligibility on a case-by-case basis, according to the candidate's job requirements, past performance, and time in the role. What about hiring remote workers? You have a few options. Remote-specific job boards like FlexJobs, Remote.co, We Work Remotely, Remote OK, and Jobspresso target (but can't guarantee) people with remote experience. You could also post the job on LinkedIn, Indeed, or your job search engine of choice, making it clear that remote is an option. Telecommuting benefits both employers and employees, but it isn't without its drawbacks. Let's compare both sides. On the plus side, you're saving office space, which means there's no need to worry about your company's potential growth. And here's the interesting part: Office space for the average worker costs about $11,000 per year. Limiting manpower reduces major overhead while doing the environment a solid. Even better, you increase employee satisfaction and retention, which leads us to the pros and cons. Together, these benefits make for happy employees. And happy employees are usually great employees. An enormous 91% of remote workers feel more productive working at home. So, the more remote workers, the bigger the dent in the trillions of dollars U.S. companies lose to productivity issues each year and the greater your workforce retention. It's a no-brainer, right? Well, not quite. It's important that your candidate's priorities align with your own. For example, is in-person collaboration more important to your company than making room for future growth? Perhaps it's not the right time for your employees to telecommute yet. However, you might be willing to invest in tech that makes remote team-building much smoother (more on that later). Consider what you're willing to trade off. Then, find a compromise. With that foundation laid, you're ready to set formal boundaries. In a remote workforce, there's greater potential for unclear expectations. Miscommunication can quickly escalate without a policy in place. With one, you set clear goals from the start. What are the best ways for employees to contact you? Will you set regular check-in calls? Perhaps less-frequent (monthly or quarterly) on-site requirements? 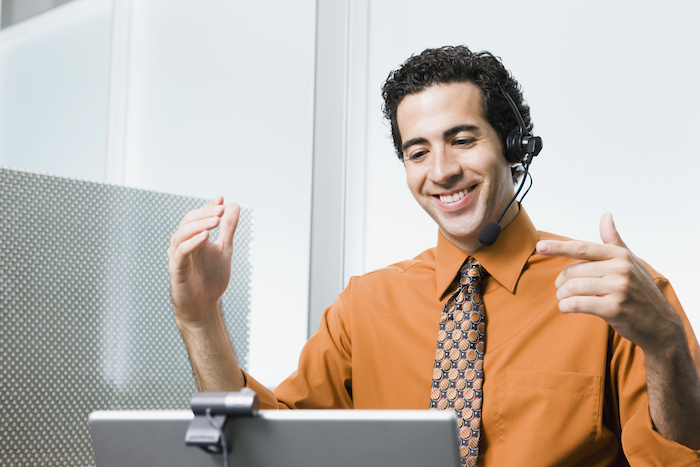 How can you make yourself and your remote worker's team as approachable as possible? That said, you may need to update your policy as you learn what's working and what's not. Now that we've covered the pros, cons, policies, and what other telecommuting companies are doing, we'll wrap up with four best practices for managing the remote team of dreams. Virtual communication doesn't have to be a roadblock. Often better planned, phone- and web-based conferences cut through water-cooler chatter and impromptu meetings to get things done. Try a video and audio conferencing tools like Zoom, Skype for Business, or Slack. And not just to collaborate. Get creative with ways to build trust and connections in your team, like sharing wacky office photos or setting up dedicated "fun" chats. It's easy to lose track of projects within a dispersed team. Take advantage of cloud-based file hosting providers like Dropbox and Google Drive to sync and store work online. Trello, Basecamp, or one of these project management tools can also keep everyone organized and track productivity. Technically, feedback is part of coaching. But it's more important and easier to forget when working remotely, so it deserves its own spot here. Get face time when possible to deliver constructive criticism the way it's intended. It may sound obvious, but some supervisors don't realize they've left remote workers hanging — or the negative effects. Positive (and detailed) feedback builds amazing team spirit. Not fully on board yet? Here's your biggest takeaway: Test and tweak as you learn what works for you and your workforce. Start small with a handful of employees, measure productivity and roll out a larger telecommuting structure if all goes well. But if you're sold, go for it! Considering the positive impact on the business and its people, telework is worth considering before your competitors do.